Salesforce has seen widespread adoption as a CRM. Lightning Connect makes migration much simpler. Here's a quick guide to Salesforce Lightning Connect migration, and real time data integration. Undoubtedly Salesforce is a renowned CRM-in-the-cloud and holds a great reputation for easy customization and integration with other systems. Lightning Connect has made migration and copying easy as it allows users to access data from outside your Salesforce system. 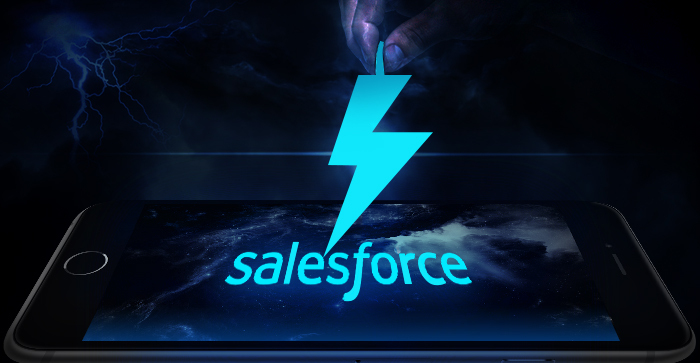 Lightning Connect rules out the traditional way of importing data into Salesforce system from legacy system. Using the conventional ways, users ended up copying uselessly the data which wasted both time and efficiency. Salesforce Lightning Connect helps by mapping various Salesforce external objects to the data tables of the alien system. When To Consider Salesforce Lightning Connect? Whenever you are migrating your system standards and do not to carry large amount of unnecessary data in your Salesforce Organization. Whenever you require small chunks of data at any given particular time. Whenever you are looking for real-time access of current data. Whenever you want stay away from irrelevant data accumulation. Hence, Lightning Connect allows seamless integration across various platforms. It dramatically reduces times to unlock back office systems. Lightning Connect allows data access in real time which can be accessed by reference. It allows you to have data from a wide variety of external sources in real-time. Users can integrate tables from Microsoft SharePoint and SAP which can be easily accessed as External Objects. Let’s learn in steps how external user permission is needed in order to produce ‘Customize Application’. 1. Very first step is to Goto Setup and then type External Data Sources in the Quick Find. From the list, you have to select External Data Sources. 2. You can either click on New External Data Source, or you can click Edit to modify an external data source which already exists there. 3. Finish up with filling up all necessary details. If you select Password Authentication, you have to enter username and password in order to access the external system. You can even select OAuth 2.0. 6. Finally, click on ‘Validate and Sync’, which completes the connection. Create a Salesforce external object automatically. Create a custom field automatically for each table column which is compatible to Salesforce metadata field type. The above called External Objects are easily accessible just as the Standard Objects and Custom Objects can be easily accessed in record feeds, list views, detail pages, and Visualforce.Lightning Connect creates relationships between External Objects and Standard objects. Lightning Connect collaborates and seamlessly integrates the legacy data and also optimizes Chatter feeds on External Object pages. Salesforce Lightning Connect uses an Open Data Protocol (OData) standard. Open Data Protocol is an OASIS standard which defines the best practicing of using RESTful APIs. OData helps in focusing on business logic along with building RESTful APIs. With OData you do not have to worry about the approaches for defining Status Codes, HTTP methods, request and response headers, URL conventions, media types, query options etc. Enterprises like SAP and Microsoft have already started implementing OData hence, they can easily and directly access products like SharePoint. Though Salesforce integration is nothing new, but Lightning Connect adds a jinx by changing the game as it treats live external data as native objects. This is driven from the platform which uses Lookup Relationships, SOQL, Custom Tabs and Details, APEX triggers and classes, SOSL. Salesforce Lightning Connect is quite lightweight and has a simplified way of accessing external data within Salesforce. Lightning Connect only handles reads, but even when it does handle writes, it is not apt to add data by just inserting records in tables. Such negligible problems can be sorted out as Salesforce Lightning Connect is racing fast towards becoming the most advanced technology which will benefit the enterprise. Enterprises with a large amount of external data which they access in real time are among the most benefitted ones.